Sam Sanger was born in Baveria, Germany in 1843. He had 6 brothers and 3 sisters. He was educated at Würzburg, the University of Berlin and at seminary. He arrived in America in 1866. Sam Sanger served a congregation in Philadelphia for three years and operated a shoe store in New York City, before moving to Cincinnati, Ohio, to teach at Hebrew Union College. His brothers asked him to join them in Waco, Texas, and help open one of their Sanger Brothers stores. Sam Sanger’s other brothers, Isaac, Lehman, Philip, and Alex had all come to central Texas earlier and opened a series of general merchandise stores, following the route of the expanding railroad. At the time of Sam Sanger’s arrival, they were already operating Sanger Bros. stores in McKinney, Decator, Weathersford, Bryan, Calvert, Kosse, Groesbeck, Corsicana, and the main store in Dallas. In 1872/3, Sam Sanger helped open and manage the Waco, Texas Sanger Bros. store. By 1876, with the railroad completed, most of the stores were closed or sold off, leaving only the two larger Sanger Bros. stores in Dallas and Waco. Both stores thrived. 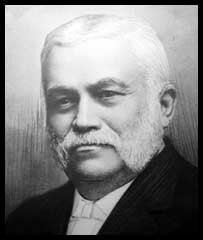 Sam Sanger became the president of the Cotton Palace Festival in 1894. Waco aspired to have a Fall Festival to promote the city. In 1894, Waco residents raised the money to build an exposition hall with seating for 5,000. In November, 1894, the first Cotton Palace Exhibition was a great success, bringing in visitors from all over the state. But six weeks later the building burned down. In 1970, the Texas Cotton Palace was revived. Today, the Waco Cotton Palace is a stage production recouning the history of Waco. Sam Sanger was an active founding member of Eureka Lodge #198 of B’nai B’rith, est. 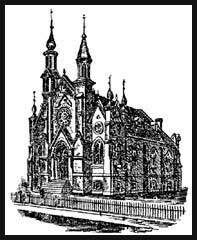 1873, which helped instigate the creation of Waco’s first synagogue, Rodeph Sholom. He was also on the committee that supported the B’nai B’rith Orphans Asylum in Cleveland, and was the organization’s Monitor. Sam Sanger was considered the Patriarch of the Waco Jewish Community for years. He was listed as the Vice President of the first planning committee for the new synagogue, Rodeph Sholom, and served as President once the synagogue received its charter. Sanger is listed as President of the congregation through 1900, although some sources list two of his brothers as President during that era. During periods when the synagogue was lacking a rabbi, Sam Sanger, having been ordained, officiated at services. While teaching in Cincinnati, Sanger married Hannah Heller, the daughter of Rabbi Kalman L. Heller. Mordecai Podet, “Pioneer Jews of Waco, Texas,” Western States Jewish History 21/1&2. Rose G. Biderman, “Sanger Brothers; Sanger Brothers and Their Role in Texas History,” Western States Jewish History 28/2.